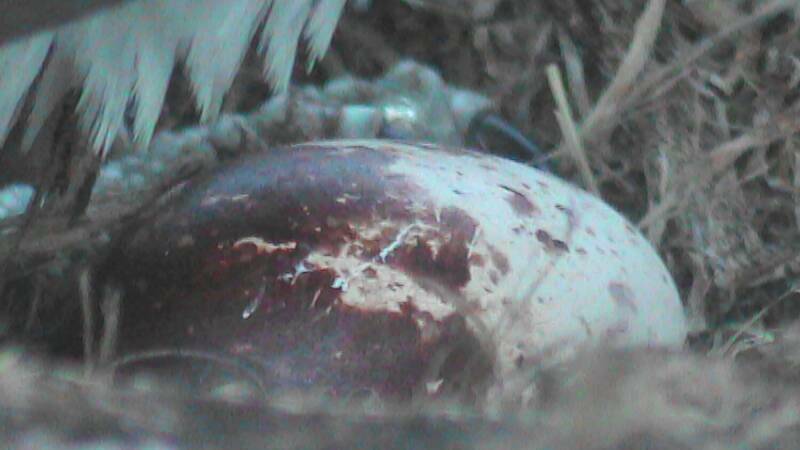 We are excited to have you participate in studying the nesting behavior of the Dunrovin Ranch ospreys! Our Awesome Osprey collaboration involves people from across the world, students and their teachers, bird lovers in Europe and North America, seniors living in residential communities, and many more. This project brings all of us together on a Learning Adventure like no other! We at Dunrovin Ranch are completely smitten with having two wonderful osprey residents, affectionately known as Hal and Harriet, nest above our barn. With the installation of the web camera in 2011, Harriet was positively identified, so we know she is at least 7 years old. 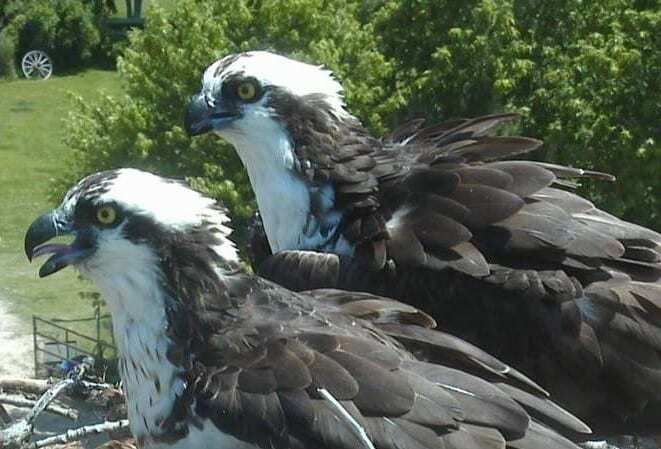 From 2011-2014, Harriet was pair bonded with an osprey named Ozzie. In 2014, an eagle attacked Ozzie, and he was killed. It is likely Harriet and Ozzie were pair bonded prior to 2011, but we can only confirm their identification from that point on. Harriet received several suitors after Ozzie died and eventually decided on Hal, who joined the nest in 2015. We know that Harriet is at least three years old in 2011, Hal was at least 3 years old in 2015. The project is a total of three weeks long. Elements of week one include informational articles about ospreys, PDF files to help distinguish Harriet and Hal, and instructions on proper sampling protocol. During week two participants will observe the osprey, follow the sampling protocol and record their observations. In the final week of the project, school students analyze the data and share their scientific findings. In addition, Dunrovin Ranch hosts online interactive web sessions with a Wildlife Biology expert. Participants will have the opportunity to ask questions and interact using a live web broadcast. Teachers and students will receive free access to the DaysAtDunrovin website and Awesome Osprey materials until June 30, 2019. 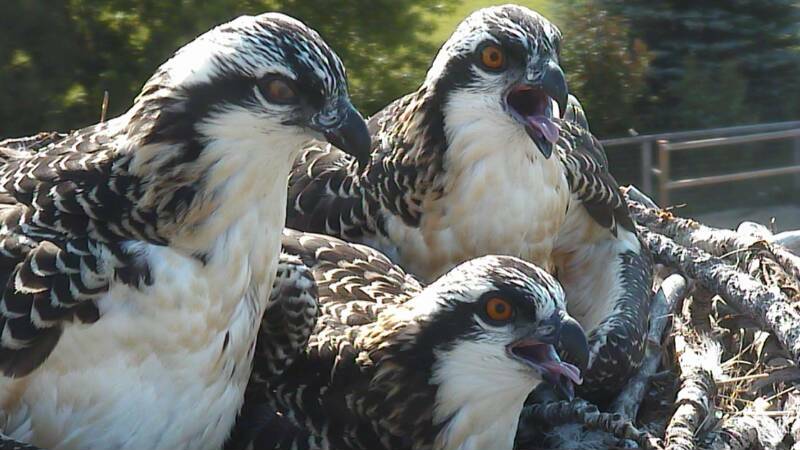 Get to know the Dunrovin ospreys. 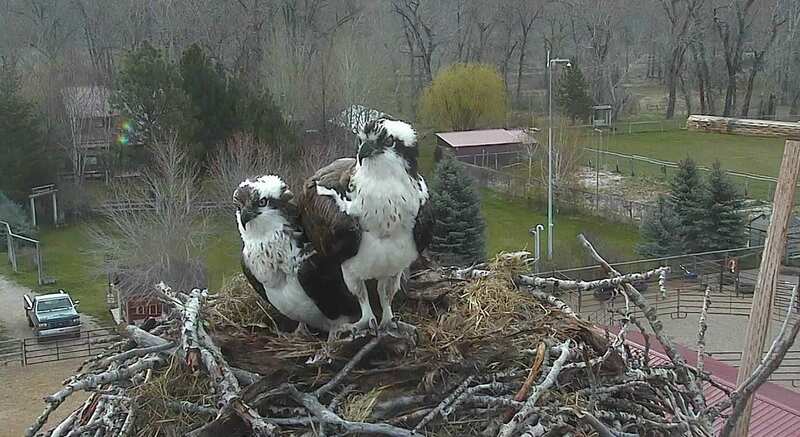 Take a tour through time to learn the history of the Dunrovin ospreys' nest. Study the basics of osprey ecology. Get an overview of project goals. Follow the schedule and procedures for each of the project's three weeks with links to all project materials.